Charter a private jet to Montego Bay, a popular tourist destination featuring duty-free shopping, cruise line terminals and five-star beach resorts. Jet Charter Jamaica arranges private charter flights to/from Sangster International Airport (MBJ), the busiest airport on the island of Jamaica. Our jet charter services allow clients to skip the hassles of flying commercial, including inconvenient connecting flights, baggage check, delays & cancellations, and unruly passengers. Clients can quickly and discretely arrive/depart via private terminals, maximizing their time spent in Jamaica. Once you’re in the air, feel free to kick back and relax in your luxurious private jet — soft, comfortable interiors, delicious gourmet in-flight catering, Wi-Fi connectivity for on-board entertainment and other amenities. You can also arrange a more cost-effective option, flying private for the convenience and flexibility it offers while flying to destination commercial airlines can’t reach. Our private aviation services allow you to enjoy the maximum levels of safety, discretion, convenience and comfort. Jet Charter Jamaica specializes in VIP service for all routes and clients, no matter how big or small the flight is — it’s our attention to detail and commitment to customer safety sets us apart from other private aviation companies. Give us a call at 1-888-987-5387 or contact us with your trip details and we’ll review all of the potential airport and aircraft options for your charter flight to Montego Bay, Jamaica. 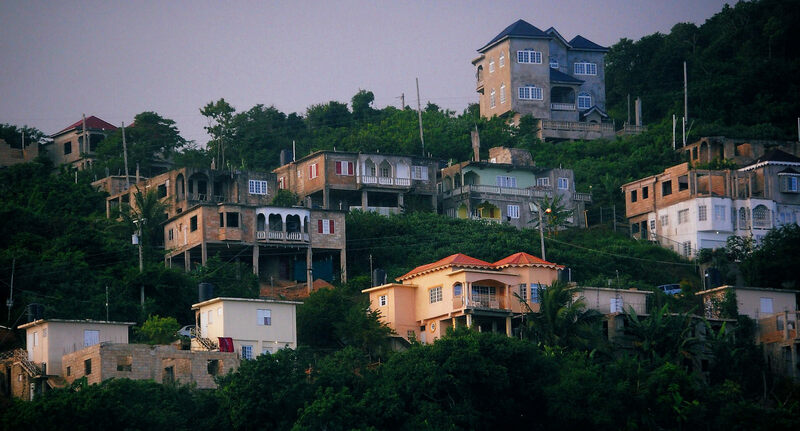 Montego Bay, commonly referred to as MoBay, is the capital of St. James Parish and the second largest city in Jamaica, a member of the British Commonwealth. Montego Bay is the premier tourist destination on the island of Jamaica, and it plays a pivotal role in the island’s economy — the majority of visitors to Jamaica arrive/depart from either (MBJ) Sangster International Airport, or the Montego Bay Cruise Port. The city is home to an array of international hotel companies including Hyatt, Hilton Hotels, Holiday Inn, RIU Hotels, Royalton and Iberostar have luxury & five-star resorts along the shores, and it’s home to the headquarters for the international resort chain, Sandals. Ground was recently broken to construct a Hard Rock Café and further bolster the city’s entertainment roster. In terms of business, there’s a thriving BPO sector in the Montego Freezone with call centers catering to Fortune 500 companies, including Delta, Amazon, Netflix, and Vistaprint, who established their only call center here. Despite the city’ new tech park, most business takes place downtown, and most of the town center features modern architecture and beautiful landscaping. The town center continues to expand and will soon be home to even more businesses, some of which you’ll find only in Montego Bay. Montego Bay is home to a variety of five-star beach resorts that create the perfect complement to your luxury charter flight. After arriving at (MKJS, MBJ) Sangster International Airport, our team can arrange for ground transportation to bring you to your resort, or taking you to your preferred destination. Our team can also assist in chartering a luxury yacht or arranging a helicopter lift to help navigate your way around the island. 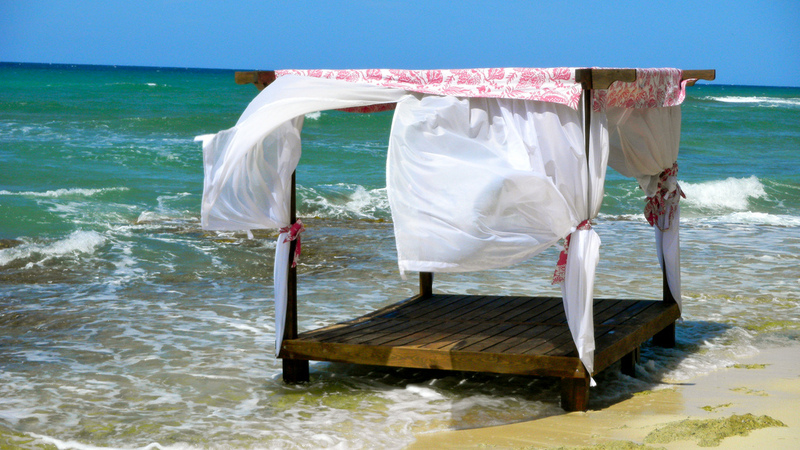 Check out some of our top recommendations for private jet travelers in Montego Bay, Jamaica. Rent a private jet to Sangster International Airport (IATA: MBJ, ICAO: MKJS), an international airport located 3 miles (5 km) east of Montego Bay, Jamaica. The airport is named after former Jamaican Prime Minister Sir Donald Sangster, and it’s the most popular airport in Jamaica and the 4th busiest airport in the Caribbean, primarily serving tourists visiting the north coast of Jamaica. Sangster was even named the “Caribbean’s Leading Airport” by the World Travel Awards in 2005, and again from 2009 through 2015. (MBJ) Sangster International has two terminals — terminal F is for international flights, and the other (C) is for domestic travel; although it typically handles around 4 million passengers annually, the airport is short-term future-proofed, capable of serving more than 9 million passengers per year. The single 8,704 foot runway at (MKJS, MBJ) Sangster International Airport allows all categories of private jets to arrive/depart, and travel services are offered at the IAM Jet Centre FBO. Request a Quote or give us a call at 1-888-987-5387 to speak with one of our jet charter brokers to arrange your next charter flight to (MKJS, MBJ) Sangster International Airport in Montego Bay, Jamaica.